Fig. 7. 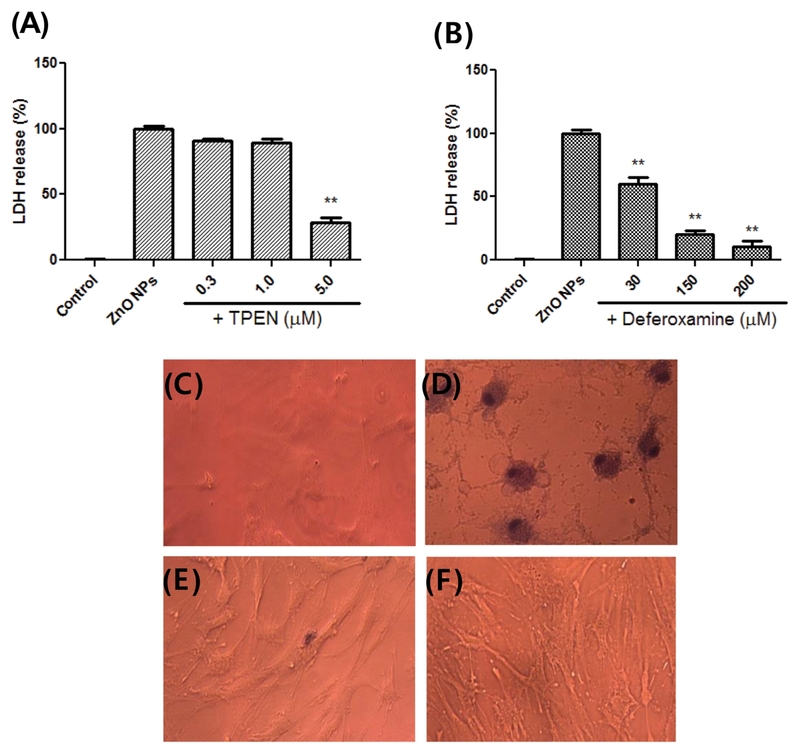 Protective effects of TPEN, a zinc chelator (A) and deferoxamine, an iron chelator (B) against ZnO NP-induced toxicity in MSCs. Cytotoxicity was evaluated by LDH release. Microscopic image of MSCs by staining with trypan blue (C, D, E, F). (C) control, (D) 15μg/mL ZnO NPs, (E) 15μg/mL ZnO NPs +5μM TPEN. (F) 15μg/mL ZnO NPs +200μM deferoxamine. **p< 0.01 compared to the control (n= 4).